This light in weight Single Aviation Obstruction Linght (LED Type)is perfectly suited for installation on communication towers, building, chimneys and for other related purposes. These are low energy consumption LED lamps that are easy to use and maintain. Further, our lamps can be customized to suit the diverse needs of the valued customers. 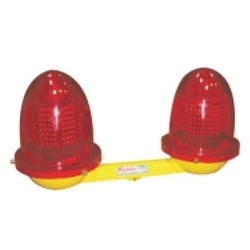 AVAIDS tower warning lights are compact, sturdy, power saving LED low-intensity lights available with an optional advanced feature. 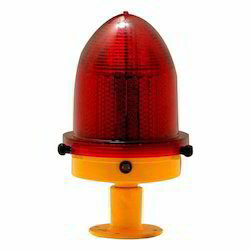 Description : LED Double Aviation Obstruction Light, die-cast aluminum alloy housing with Polycarbonate Dome. The Ol800 Meets The Icao Requirements For Low-intensity Obstacle Lights Type A And Type B, According To Icao Annex 14, Volume 1, 5th Edition, July 2009 And 6th Edition, July 2013 (red).